If you read my blog regularly then you will know I love nail polish and painting my nails. I tend to do my nails every 2 days as painting my nails is really relaxing for me and I use this as my 'down time' before bed. Since getting into my nail polish obsession I have found that waiting for my nails to dry can be a little annoying when you want to get on with things, or in my case go to bed. 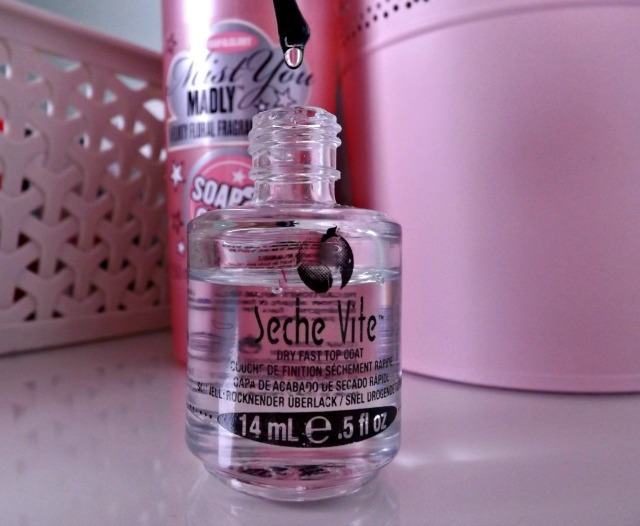 This top coat is hyped up a lot of blogs and I saw this on eBay for around £5 and nabbed it quickly and I was so happy when I finally got it. For the first use I could tell that I had fallen in love with it and I knew that I would never find another top coat as good as this. I was astonished at the high shine finish of my nails, I am a glossy girl though and though and never liked matte nails, so for me I was so happy with the amazing finish. The glossy finish also lasts on your nails the whole time you have them on and it doesn't fade like I find some other polishes do. I also couldn't get my head around how fast my nails dried. I applied a layer of this on top of two layers of polish and within about 5 minutes my nails were completely dry: I could run my fingers through my hair, rummage in my bag make a cup of tea. There were no chips or smudges which is amazing! I find that it doesn't make my polish stay on longer than any other top coat I have tried, but I am always changing up my nails nearly every other day so it doesn't really matter to me that much. Also I would say it is slightly annoying that the brush doesn't reach the bottom, I don't know what I am going to do when I get to that stage. If you have any tips they would be much appreciated! Overall I love that this top coat gives my nails a really glossy finish that looks like gel nails and that it makes my nails dry s quickly. The down side is that it doesn't make my polish last longer than an average top coat but like I mentioned this isn't really a priority for me as I change my nails very regularly. 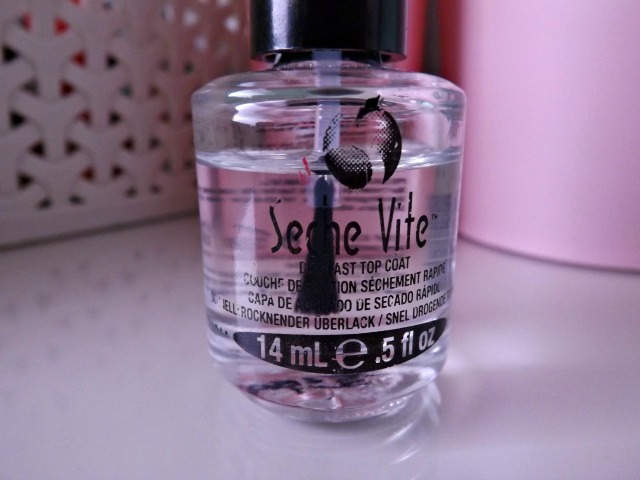 Let me know what you think about the Seche Vite Dry Fast Top Coat! You will love this then if that is the case, this is amazing at drying your nails super fast and means you are less likely to smudge them!